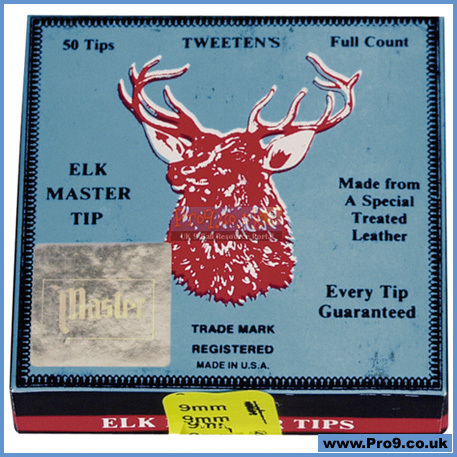 ElkMaster is the finest cue tip that "know how", skilled workmanship and proper material can produce. For almost 85 years, Tweeten has been the name to trust in Billiards chalk, cue tips, and accessories. We are the ONLY U.S. manufacturer of professional quality billiards chalk and cue tips and are proud of our quality and our dedication to the sport. Tweeten products are sold through dealers throughout the world and discerning players INSIST on Tweeten quality. Packed 50 to a box, we only stock the 14mm size... You trim to fit!